Neil Dodd has joined as Electrical Engineer. As an electrical contractor with more than 12 years’ experience, he is well versed in the installation, maintenance, inspection and testing of electrical systems – both in commercial and industrial markets. Becki Adams is our new Apprentice Administrator/Receptionist. It’s her voice you’ll generally hear answering the phones, and she will be studying for her Level 2 Business Administration qualification whilst assisting the team with administrative duties. Lastly, Laura Martinez-Fernandez is our new Graduate Mechanical Engineer. With an MSc in industrial engineering and a background in consulting, Laura will also be undertaking her professional qualifications in the coming months. 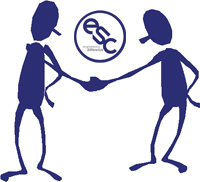 If you’d like to read more about the members of the team at ESC please click here. Copyright © 2019 Engineering Services Consultancy Ltd. All rights reserved.